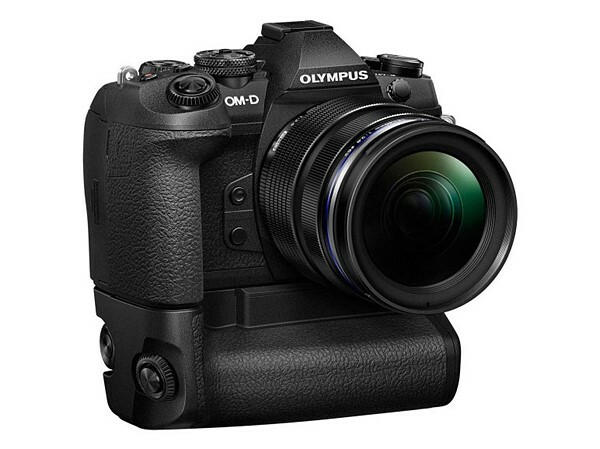 Slashcam News : Olympus E-M1X Leaks: Live ND Filter, 4K LOG and the world's best 5 axis stabilization? Olympus E-M1X Leaks: Live ND Filter, 4K LOG and the world's best 5 axis stabilization? 4/3rumors reports further leaked specifications for the upcoming professional Olympus Micro Four Thirds E-M1X camera. According to this, the Olympus E-M1X, equipped with an integrated portrait handle, will have an integrated ND-FIlter function "live ND-FIlter", a new Olympus LOG format called OM-Log400 as well as a significantly further developed 5-axis stabilization, which, in combination with Olympus M.Zuiko IS PRO lenses, will compensate for up to 7.5 exposure levels. Olympus was one of the first manufacturers to launch 5-axis sensor stabilization systems with high efficiency. Therefore, we consider a further development here to be a no-brainer - the exciting question here might be how well the system is tuned to video recordings. It is said that the E-M1X has once again been equipped with stabilisation modes specially developed for video recording. What we have been waiting for for a long time is the introduction of electronic ND filter systems into mirrorless system cameras. If you are the first to bring a corresponding system onto the market, you should be able to capture the hearts of many film-makers with a usable implementation. It would also be time for Olympus to have its own LOG format, if more video-affine users were to be enthusiastic about the Olympus Micro Four Thirds System. We would also appreciate 10 Bit Video at Olympus. deutsche Version dieser Seite: Olympus E-M1X Leaks: Live ND-Filter, 4K LOG und weltbester 5 Achsen-Stabi?